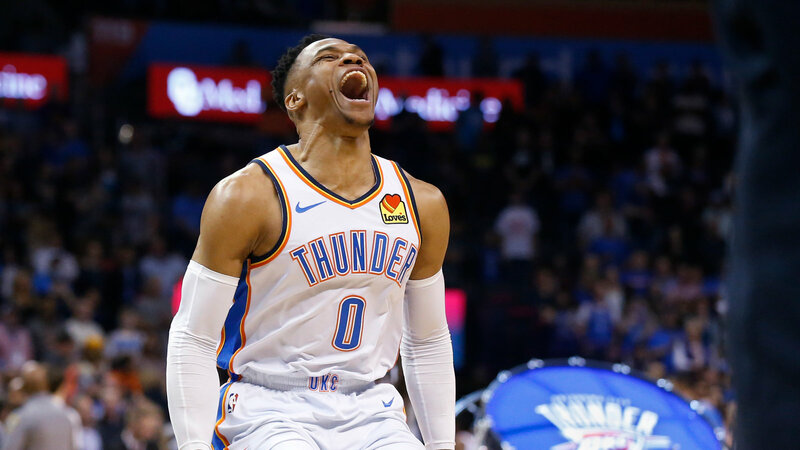 In tribute to slain L.A. rapper Nipsey Hussle, fellow L.A. native Russell Westbrook posts the second 20-20-20 game in NBA history, and the first since Wilt Chamberlain did so on February 2, 1968. Westbrook’s 20 points, 20 rebounds and 21 assists at home versus the Lakers, of all squads, needed an extra assist. With a minute remaining and Russ at 18 boards, Billy Donovan attempted to sub out his four of his starting five. Russ refused to come out, grabbed Steven Adams’ free throw miss, then grabbed a defensive board before the clock expired. The Nipsey Hussle assassination is tragic, of course. Gotta note, though, that for many of us over the age of, say 50, when we first heard the name we had no idea who he was and our first thoughts went to Match Game. “What it reveals about him is he has to win no matter what,” says Rick Reilly, author of “Commander in Cheat,” which outlines ways Donald Trump allegedly cheats in golf. Love that my man Rick Reilly was able to turn this project around in only a year. Behind the Music: Riles phoned me early last April (early in the month, not early in the day) and offered me the chance to be his researcher on this project. I thanked him and passed: meticulous research is not my jam. But I did put him in contact with Friend of the Blog Moose, who is nothing if not detail-oriented and painstakingly thorough. She became His Girl Friday and though they still have never met in person, theirs was a fruitful and mutually beneficial pairing. I will take credit for one more thing: Riles getting himself into Bedminster, Trump’s N.J. club and summer weekend getaway. With the help of an old friend, a regular weekender there, I was able to procure that for Riles. Happy to do so. Sometimes we just include an item because of the headline opportunity. You know it. We know it. 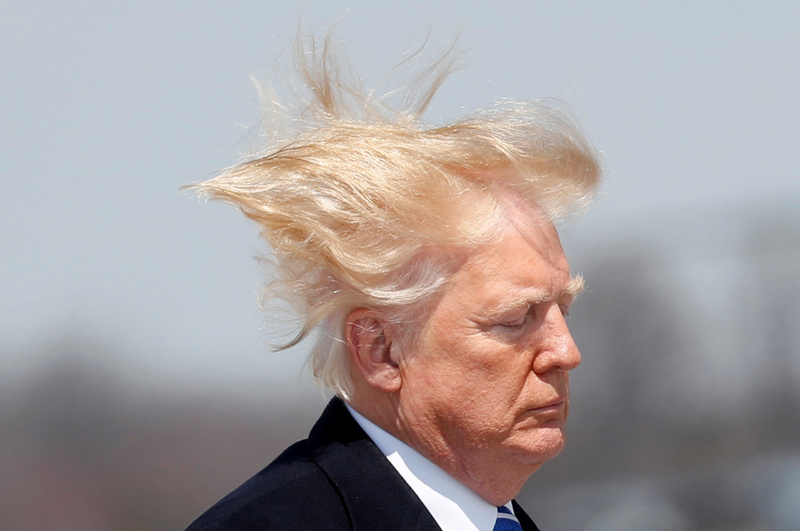 Maybe why he’s no fan of wind? It’s only Wednesday and Donald Trump has already claimed that wind energy does not work if the wind is not blowing (false) and that it may cause cancer (false). He’s also punting health care until after the 2020 election because A) he does not actually have a plan, B) if he wins, he won’t have a plan for the next four years, either, and C) who needs health care between now and January 2021? Oh, he also claimed that his father Fred was born in Germany. Fred was born in New York. Yeah, Donald Trump just birthered his own dad. It’s not how idiotic Trump is. It’s how idiotic those that still blindly follow him are. They lack a certain, what’s the word…deepness? History made in the nation’s third-largest city, as Chicago elects Lori Lightfoot mayor. A female, an African-American and a lesbian. That’s a MAGA triple-whammy! Lightfoot is the Windy City’s first female African-American mayor and its first openly gay mayor and if this has anything to do with Jussie Smollett’s release, we’ll just face-palm. Lightfoot had never been elected to public office, but don’t get in a huff, kids. She’s not a community organizer. She’s a former federal prosecutor. Mock New Jersey all you like, but my Garden State has produced Sinatra, Springsteen and—not in the same class, we know—and Halsey. This was her breakout single from the summer of 2017 that hit No. 5 on the Billboard charts. Her artist name is both an anagram of her first name (Ashley) and an homage to Brooklyn’s Halsey St. subway station. Kevin Costner comes full circle, from his first big starring role more than 30 years ago as a 1930s law man chasing a notorious gangster (Al Capone in The Untouchables) to a 1930s law man chasing a notorious pair of bank robbers (Bonnie and Clyde). No one’s going to mistake this for Bonnie and Clyde (1967), but you have Costner and Woody Harrelson tooling around the Dust Bowl states in a 1934 Henry Ford chasing America’s first celebrity mass murderers. And yeah, you may get a little sense of True Detective deja vu as Woody drives around rural Louisiana with his law man partner. Best reason to watch this: to appreciate just how good and underrated an actor Costner is. He was terrific in a minor role two years ago in Molly’s Game. He’s excellent here as the star.